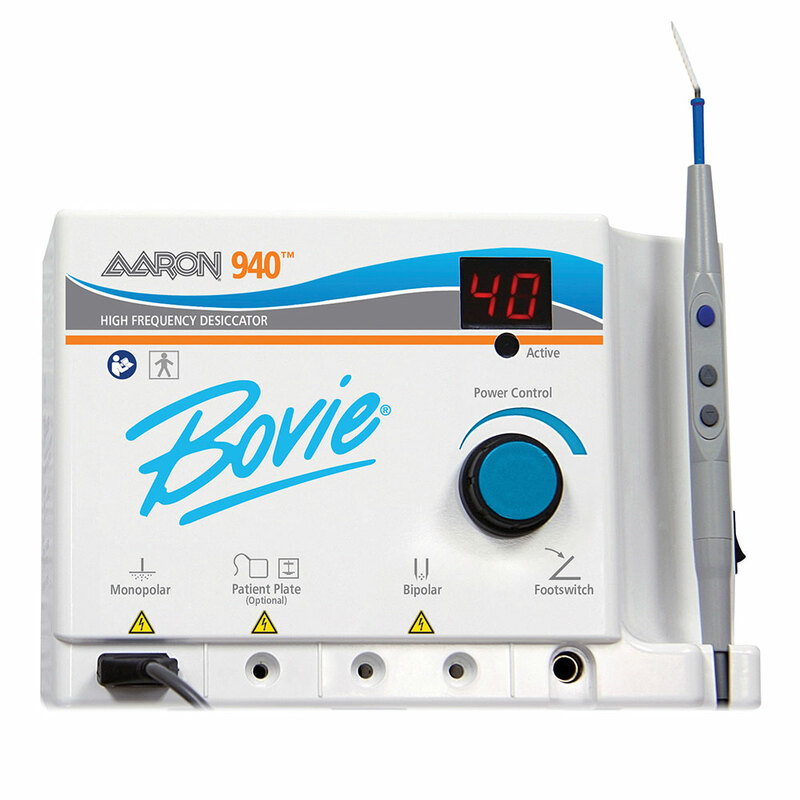 The Aaron A940 Diathermy is a powerful 40 watt popular and cost effective diathermy. The A940 will suit the needs of most general practices. 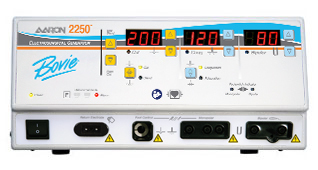 Its 40 watt power output provides for most types of small surgical procedures including cutting & coagulating and it has both bipolar and mono-polar modes available. The A940 diathermy as with all the Aaron range is supplied ready for use with handpiece, electrodes, wall mounting and an instruction DVD. 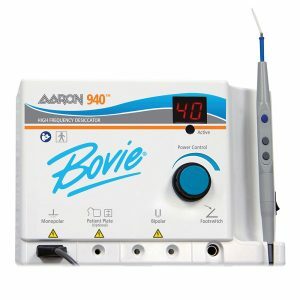 The Aaron 940’s digital power control system allows you to change from low to high by simply pushing the up/down buttons on the handpiece or rotating the power control knob. Means unsurpassed safety for you and your patient. The Aaron 940 continuously monitors every aspect of the Aaron 940’s output. At the sign of any problem the machine instantly disables the output and displays the appropriate error code on the display. A major part of the goal in designing the Aaron 940 was not just to make the best high frequency desiccator, it was to do it at a lower cost; not only at the time you purchase the unit but every day and for many years to come. Therefore you will find the disposable and reusable accessories you use with the Aaron 940 will cost you less too. Additionally, everything from the isposable Dermal Tips to the Aaron 900 itself comes with our 100% satisfaction guarantee. The basic function of a 3-button handpiece is to allow the user to control power up/down and to activate the high frequency desiccator. It was our intention to give you much more than that, so we did! Inside we put a superbly engineered collet that firmly holds the electrode exactly where you place it. To top it off, we gold plated it for superior conductivity. The collet is attached to our circuit board, and the entire handpiece is encapsulated and formed in a high tech polymer that combines comfort for you with a sure grip. The buttons on the handpiece have been designed for superior tactile feel and comfort. Lastly, we made it autoclavable so you can have sterility when you need it, and an easy to clean and durable handpiece all the way around.